Now on their 7th national tour, The Midtown Men are bringing their magic to audiences everywhere, singing their favorite “Sixties Hits” from The Beatles, The Rascals, The Turtles, Motown, The Four Seasons and more. 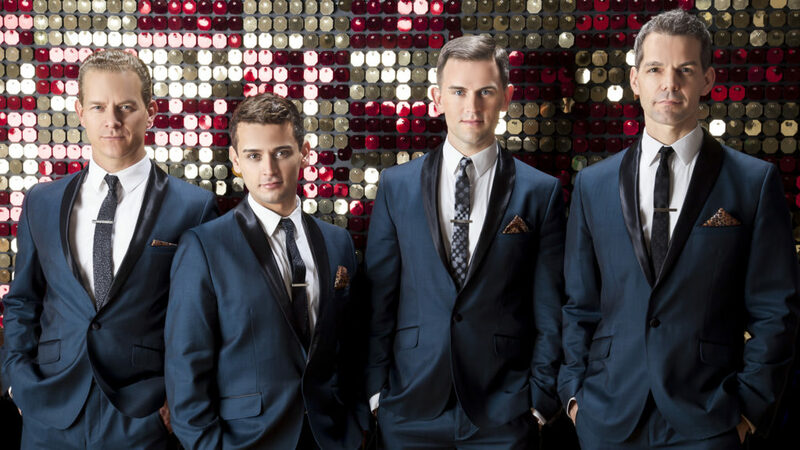 The Midtown Men reunites stars from the smash Broadway hit musical, JERSEY BOYS: The Story of Frankie Valli and The Four Seasons. This sensational production reunites Four Stars from the Original Broadway Cast of Jersey Boys. Tony Award winner Christian Hoff, Michael Longoria, Daniel Reichard and Tony Award nominee J. Robert Spencer star in this one-of-a-kind concert experience celebrating the music that defined the ’60s. Formed in 2010, the popular vocal group has been widely praised for their signature renditions of the greatest rock and roll songs of the 1960s. Together, they have played over 700 concerts in North America, Europe, and China, and have headlined alongside over 30 symphonies including The Boston Pops and The National Symphony. Featuring stories and songs, their acclaimed concert features classic tunes originated by The Four Seasons, The Beatles, The Beach Boys, The Temptations, and more! Television audiences have enjoyed The Midtown Men on Good Morning America, The Today Show, The Chew, Katie, and Access Hollywood. Their debut album, The Midtown Men: Sixties Hits, was met with critical acclaim and garnered 5-star album reviews across iTunes. Not a Performance Of, Not Affiliated With the Show Jersey Boys.